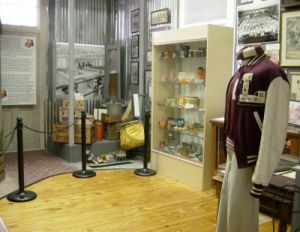 The Winter Garden Heritage Museum is dedicated to preserving the heritage that gives Winter Garden its small town charm. Founded in 1998, the Heritage Museum safeguards and displays Winter Garden's past in architecture and inventions. 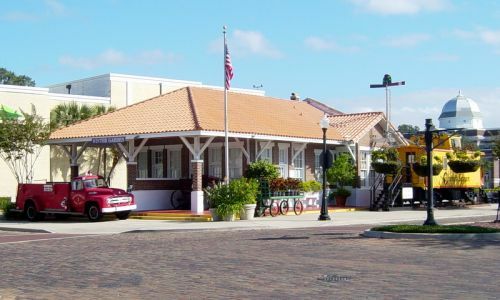 Located in the heart of downtown Winter Garden, the Heritage Museum is a glimpse into the past of one of Florida's most interesting cities. Winter Garden Heritage Museum, Winter Garden FL 34787 Museum. Winter Garden FL 34787 Heritage Museum. Long ago a village of Timucua Indians lived along the shores of Lake Apopka. A collection of Indian artifacts are on display, including pottery pieces, colorful trade beads, deer bone tools, clay pipe pieces and arrowhead points from various counties in Florida. A glass display case holds many of the early barber tools that were used at the Reeves Bros. Barber shop owned by Doc Reeves. 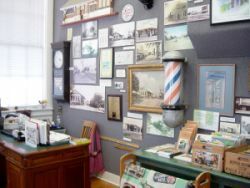 The red & white barber pole was a familiar sight to locals in town and the original one can be seen on the wall of the museum. The barber shop was located at 18 E. Plant Street and was open from 1948-1978. The "Theater Wall" in the next room has a display of photos showing the old theaters in Winter Garden, including the StarLite Drive-In and the Winter Garden Theater. The Winter Garden Theater opened in 1935 and was the first theater in Central Florida constructed to show sound motion pictures. The theater was recently renovated and is now called the Garden Theatre. Winter Garden was also home to the Old Gem Theatre on South Main St. which operated from 1940-1949. The Old Gem was later resurrected for the filming of Kermit's Swamp Days by Jim Henson. 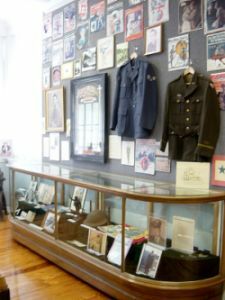 The museum has an area designated to local war heroes, with a large collection of War Posters displayed on the wall, along with photos, newspaper articles and the names of Winter Garden residents who fought in the wars. Many items were donated by retired military veterans living in Winter Garden, including a World War I helmet worn by Howard Bray of Winter Garden. Local resident George McMillan joined the Flying Tigers at age 24, and was involved with one of the biggest victories in WWII after Pearl Harbor, downing between 23 and 30 Japanese planes. A large clock that sits in a corner of the museum was the very clock that used to hang in the window of Fulmers Cleaners on Joiner Street for 42 years, from 1962-2004. The clock was donated by the Roy Fulmer Family. Lake Apopka is the 4th largest lake in Florida and there is much history surrounding the lake. Fishermen would come from all over the world to stay at one of the fish camps or the Edgewater Hotel, built to accommodate visitors. But over time the lake became polluted and was no longer safe for fishing. Today efforts are being made to restore the lake to its original condition. 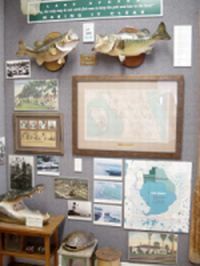 Memorabilia and photos from the old fishing days are represented here, with mounted trophy fish, an old fishing net, reels, and even a gator head and turtle shell. 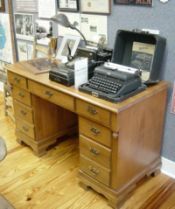 There are many items on display representing the Medical History of Winter Garden. 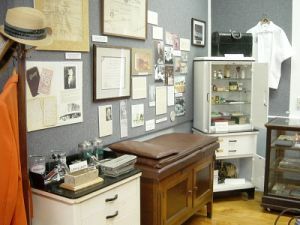 A glass cabinet holds medical equipment, medicine bottles and even an old anesthesia machine used by Dr. Albert Gleason. Dr. Gleason's black bag is also displayed. This was the very bag he carried with him on housecalls made in West Orange County in the 1940's. There are photos and articles about Davis pharmacy and West orange Memorial hospital which opened it's first building in 1952.There are many interesting articles to read about local doctors and dentists who practiced in Winter Garden. Dr. Wayne Godbold was a local obstetrician/gynecologist who entered private practice in 1963.There are at least 3,500 people who can claim that they were delivered by Dr. Godbold! 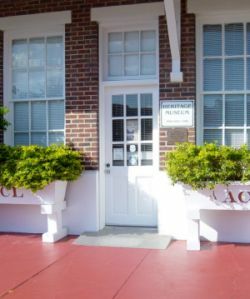 The museum has a wall dedicated to local governement with information about local politicians, such as Mildred Dixon, who was the first African American to serve on the Winter Garden city commission. George Walker was mayor of Winter Garden in the 1930's. Mayor Walker is responsible for securing funds from President Roosevelt for building projects such as the public docks on Lake Apopka, a public swimmng pool, trailer park, auditorium, and other recreational facilites. Other structures built with money from President Roosevelt included the fire station, city hall and the city ballpark, named Walker Field in his honor. Lakeview High school class photos hang on the wall in the Citrus room. For anyone that went to Lakeview this room will bring back memories, with many yearbooks to look through, a game football with signatures, lettered sweater and jacket, trophies, football programs, homecoming queen tiara, button & ribbon collection and much more! Half of this room is dedicated to the citrus industry, which was the backbone of the local economy for more than seven decades. 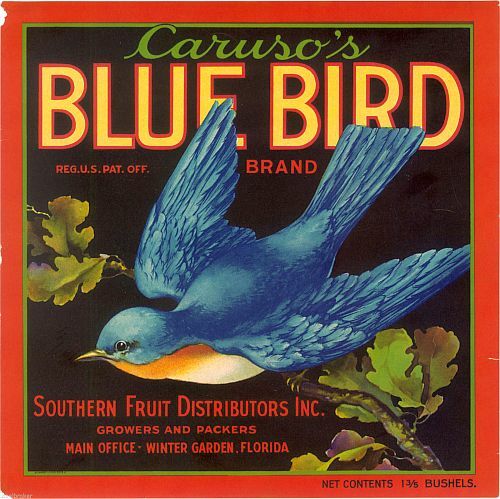 You can listen to the citrus industry story on a taped recording, and see the history in photos and memorabilia. There are orange crates, a picker's bag and ladder, and many other items used in the citrus industry. Visiting the Winter Garden Heritage Museum is a very educational experience and well worth the trip. You will come away knowing so much more about this unique city that we live in! A new addition to the Heritage Museum is underway! The History Research and Education Center is being constructed to resemble a historic railroad depot.